The cost is $12.95+3.95S&H. Can be ordered online or by calling 1-800-598-5137. That is a better price than Amazon. New York, N.Y. – September 27, 2010 – Winners of the 31st Annual News and Documentary Emmy® Awards were announced tonight by the National Academy of Television Arts & Sciences (NATAS). 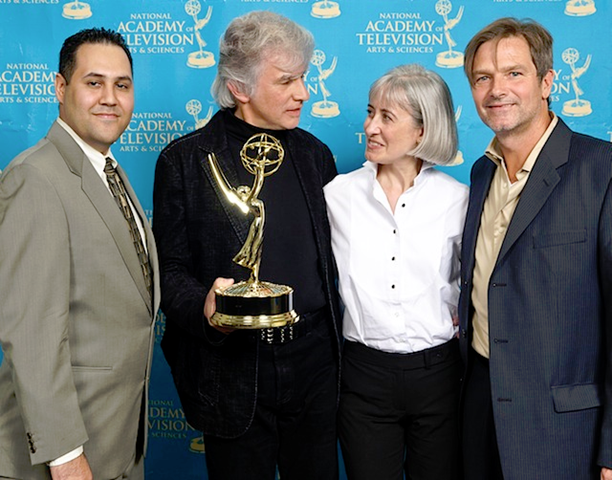 The News & Documentary Emmy® Awards were presented at a ceremony at Frederick P. Rose Hall, Home of Jazz at Lincoln Center, located in the Time Warner Center in New York City. The ceremony will be broadcast on Saturday, October 9 at 8pm ET on C-SPAN. The event was attended by more than 900 television and news media industry executives, news and documentary producers and journalists. Emmy® Awards were presented in 41 categories, including Breaking News, Investigative Reporting, Outstanding Interview, and Best Documentary, among others. This year’s presenters included Diane Sawyer, anchor, ABC’s World News, Lester Holt, weekend anchor, NBC’s Nightly News, and weekend co-anchor, Today, Sheila Nevins, President, HBO Documentary Films, Dan Rather, anchor and managing editor, HDNet’s Dan Rather Reports, Bob Simon, correspondent, CBS’ 60 Minutes, Paula Zahn, Executive Producer/Host, On the Case with Paula Zahn, Investigation Discovery Network. Can you explain why there are two side by side images that rotate slightly? Is there a point to this? These are stereoscopic images. You should be able to see them with a stereoscope such as the one pictured here. I am told that some people can see stereoscopic images without the aid of a stereoscope and that all you need to do is relax your eyes and stare at the image for a while until the left and right images merge into a single 3D image. Theories abound as to how the shroud could have been concocted, and STURP is forever testing new ones, if only to keep the project fun. Should some member be seduced by the notion that the image was formed by an elusive combination of butter, lemon, and egg yolk, the team would immediately go into action, devising experiments, creating simulacra, baking the coated samples, irradiating them with lasers, burning them with acids, working feverishly until an excited phone call informed coordinators Jackson and Jumper that, while the mixture didn’t yield an acceptable shroud image, it made a remarkably fine Hollandaise sauce." The Harpers article is very informative and entertaining. You can find it in libraries. You can also find it online at http://www.harpers.org/archive/1981/11/0024680 but you will need to subscribe to the magazine to read it. The cost is $16.95 per year. Would be nice if I had some of those red/blue 3d glasses they use for some 3d movies. Maybe the site could give instructions on where to get them. I do have a pair of polarized glasses from a recent movie but they don’t work. Everything else looks good so far. Okay, I decided to buy a copy of the History Channel’s Real Face of Jesus DVD. There it was listed as a hot topic in History’s online shop. When I clicked on the link I discovered that I can only pre-order it for delivery more than a month from now. What gives? I’m guessing that the The Real Face of Jesus? DVD is temporarily sold out. For many weeks it was one of their top five best sellers. However, you can order it from Amazon.com where it sells for $22.49 which is 10% less than the History Channel charges. Amazon reports that they have it in stock and can even deliver it to you the next day for an additional shipping charge. BTW: it has a similar high rating at Amazon from a smaller number of customers. Join me in applauding Petrus Soons. 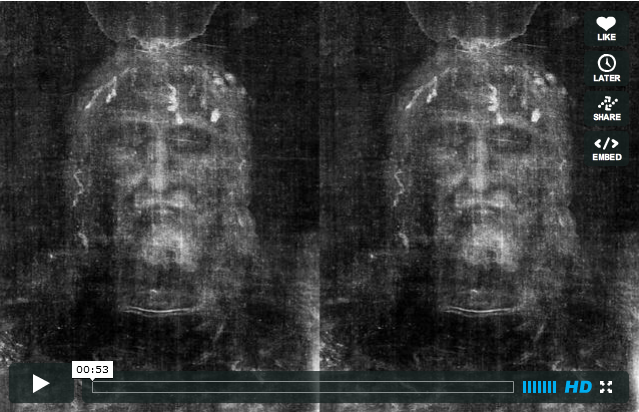 I have long thought that the 3D quality of the Shroud of Turin image was a big deal. It is perhaps the most important thing to understand about the Shroud. But the 3D quality is also difficult for many people to understand and it is fraught with misinformation. It cannot be a painting, bas relief rubbing, dry pigment daubing, negative sun bleaching (“Shadow Shroud”), etc. It cannot be a photograph made with reflected light using a camera and lens. Leonardo da Vinci can turn back over in his grave and rest in peace. In fact, when we understand the 3D quality we realize that there are no known artistic or hand-craft methods by which the image could have been produced prior to the modern era (and perhaps even still today, as no one has been able to do it). 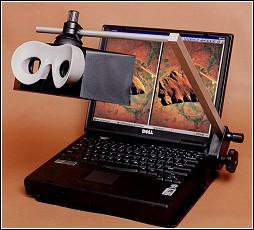 The 3D quality offers new possibilities for confirming or denying the existence of possible objects and even lettering on the image. This subject has always been controversial and it will remain so. Better understanding of the 3D quality of the image opens up new possibilities for hypothesizing how the images might have been formed. 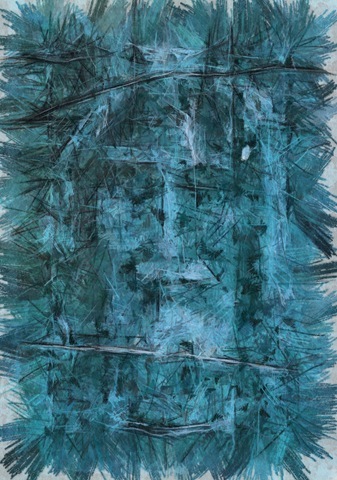 In The Real Face of Jesus?, HISTORY unveils the fruit of many months of labor [by Ray Downing and his team at Studio Macbeth], made possible by sophisticated computer tools in very capable hands: an accurate depiction of the man many believe to be Jesus Christ. For the devout and curious alike, this is a compelling story of transformation—a fascinating journey from the realm of creativity and imagination into the domain of science and technology. BTW: This HISTORY documentary has remained a best seller and one of the best all-time rated shows from this network (4.9 out of 5 from 103 reviews – top that). Now, Petrus Soons has produced what may well be one of the most significant websites on the Shroud of Turin. Certainly this is so for understanding the 3D quality of the images. Spend time exploring it. From what I’ve seen so far, it is extraordinarily well explained. But first, before visiting the site, click on the above image (or click here) to watch a 53 second video of what Petrus has accomplished. (Unfortunately it is on Vimeo and thus locked up so it won’t get the attention is deserves on YouTube – undoubtedly it will be hacked shortly and get wider distribution).